Ever since the Tomb Raider reboot brought new prestige and financial success to Square Enix and developer Crystal Dynamics, many have wondered if the studio would be giving the same treatment to its other beloved franchise, Legacy of Kain. Since then, we've seen the free-to-play multiplayer shooter Nosgoth dance around the idea of returning to the vampire realm, but nothing resembling the actual Legacy of Kain or its sub-series, Soul Reaver, has ever come to fruition. Odds are it won't be happening, but at the same time, odds are that it will happen! Speaking with Finder AU, Crystal Dynamic's Senior Designer Michael Brinker claims that Legacy of Kain returning to its former glory is a 50/50 shot. "It's a 50/50 chance. We have in-house developers who really want to make that game. It's interesting because people look back at our history and our franchises and see that we have some really great iconic IPs." Yeah, that's the thing about fans. They tend to remember the good stuff and get a bit ruffled under the feathers when they have better memories than the executives in charge. It's nice to see that the human element behind the studio supports the needs of the gamers, though. I've never played the original Legacy of Kain, but I have dipped into all three Soul Reaver games. I actually hated the first one for many years, but then I got a chance to play the Dreamcast version and promptly changed my mind about it. The other two are quality action games with forgettable gameplay but downright astounding voice acting and writing. A reboot would most likely resemble a Batman Arkham game, meaning it would be given the same cliche AAA treatment that Tomb Raider was granted when Square Enix decided to turn it into an Uncharted game. 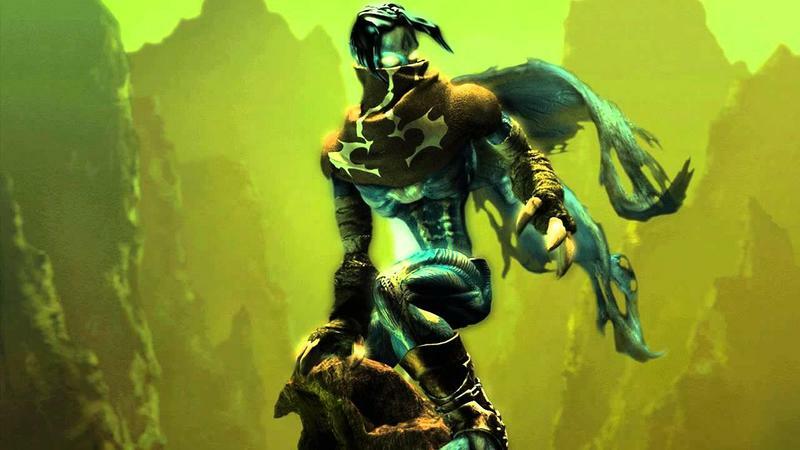 Soul Reaver was famous for being a boundary pushing action experience back in the "pre-Devil May Cry" era, but nowadays, I don't expect anybody to use a washed up franchise to break boundaries, just conform it to everything else. For Soul Reaver, I'd be okay with that actually. Anything for a chance to relive something this magnificent again! Whoa, that's still so awesome. Ya'll just don't know. The new Tomb Raider series is going to be a trilogy, though, like every other form of medium these days, so we'll have to wait for Crystal Dynamics to wrap that money maker up before this has a chance at ever coming out again.